Moorea is one of the Society Islands, an archipelago in French Polynesia. This beautiful and idyllic island, located a few miles off the northwest coast of Tahiti, is the perfect destination if you’ve always wanted to stay at a luxury tropical resort without blowing your budget. 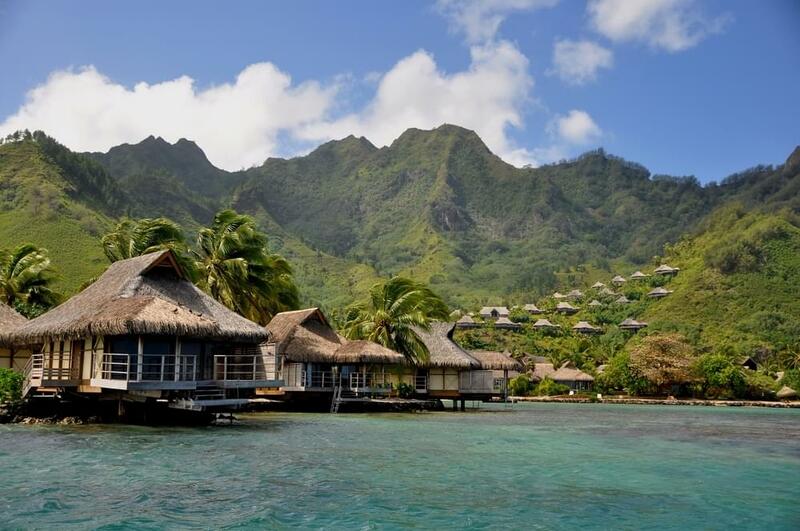 Moorea is less costly than its more famous cousin Bora Bora, but no less amazing. So get ready for your overwater bungalow experience, and get there with miles. You won’t sacrifice quality for price by choosing Moorea. In addition to fantastic beaches and snorkeling that rivals anything you’ll find in Bora Bora, there is also incredible mountain scenery, lush valleys and sparkling waterfalls that are ready for hiking and exploring. Moorea is served by Fa’a’ā International Airport, located near Pape’ete, the biggest city in Tahiti, and the capital of French Polynesia. From there, most visitors take a ferry to Moorea. For a bit more money, though, you could take a short Air Tahiti flight, which also doubles as a beautiful aerial tour of the islands. How much can you save by going to Moorea instead of Bora Bora? To get to Bora Bora, you also have to fly to Tahiti first. Round-trip flights between Tahiti and Bora Bora cost about $500, and they can’t booked with miles. To get from Tahiti to Moorea costs only $16 by ferry, or $65 by plane. 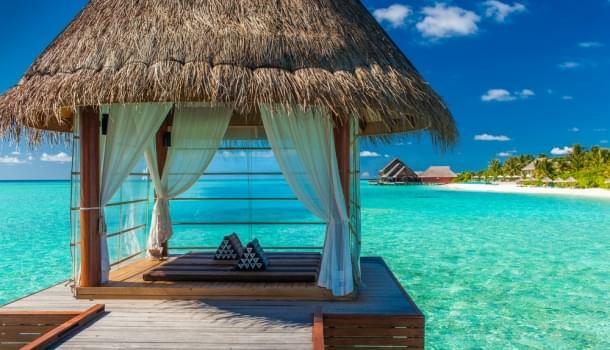 That alone is a big savings, but everything on Bora Bora, from hotels to food and transportation, costs at least 20 percent to 30 percent more. Getting to Tahiti from the United States with miles isn’t always easy, since award seat availability is limited, but it’s doable if you plan in advance. You’ll have to call, since you can’t book these airlines on American Airlines’ website. The good news is that the phone booking fee will be waived. Air New Zealand is the only Star Alliance member that flies to Tahiti. Flights are routed through Auckland. It’s difficult to find an award seat to Tahiti from the U.S. on Air New Zealand, and it’s nearly impossible to find one in a premium class. Try to search well in advance, or call United and ask them to look for a flight. You could also try flying to New Zealand on a different airline, and then take Air New Zealand to Tahiti from Auckland. Award availability is a bit better on that leg of the trip. The only SkyTeam member that flies to Tahiti is Air France, via Los Angeles and Paris. Delta partners Air Tahiti Nui and Hawaiian Airlines also fly to Tahiti, via Los Angeles and Honolulu, respectively. You’ll have to call Delta to book Air Tahiti Nui or Hawaiian awards.